Your dream home is possible with easy monthly payments from Affirm financing. Quick and easy. No hidden fees. Gathering around a fire is one of humanity's ancient joys. 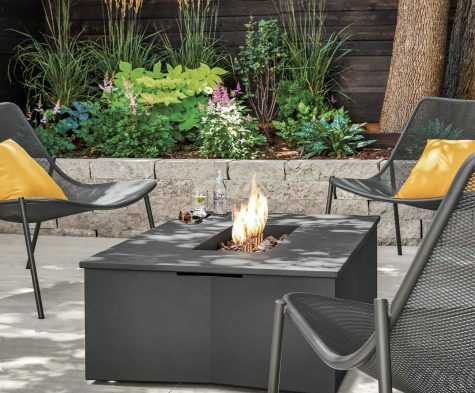 Consider investing in a contemporary fireplace for your outdoor space today. 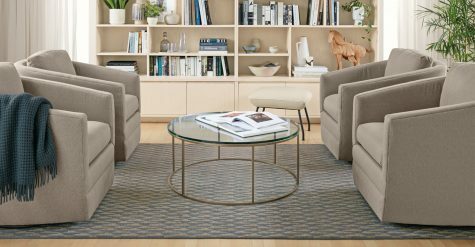 Refresh your space with a modern accent chair! Guest blogger Claire Thomas walks us through her A-frame cabin in Big Bear, CA. 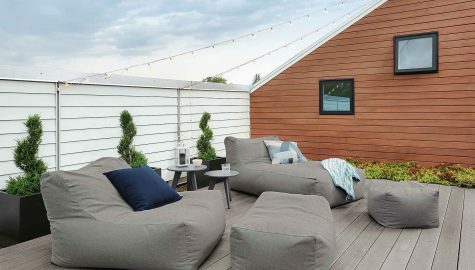 Lounge in style in a few of our favorite outdoor chairs! 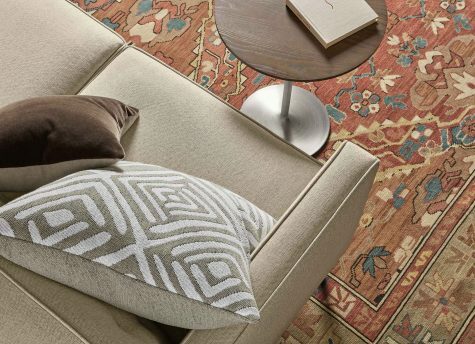 Infusing your home with warm colors makes it especially inviting. 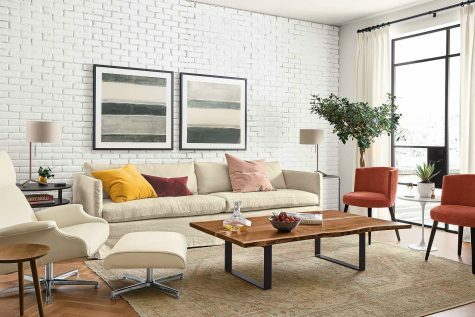 It's easy with our wide, cohesive selection of warm-toned furniture and decor. 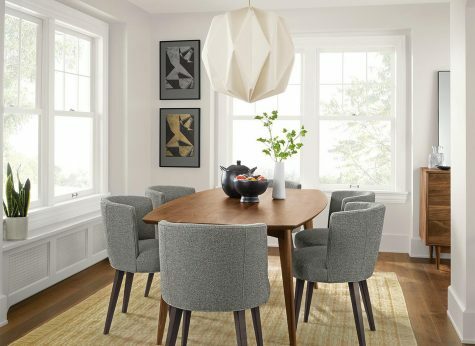 Create a dedicated eating and entertaining space in a small dining room or kitchen. 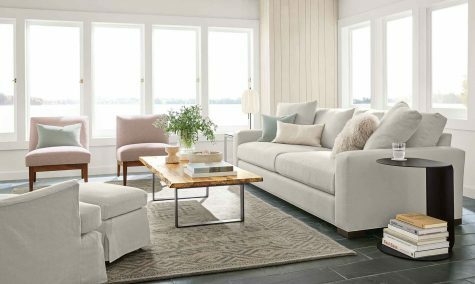 See our sustainably made Emmet collection through the seasons. Take a tour of the Modernism Week Featured Home: Desert Eichler. 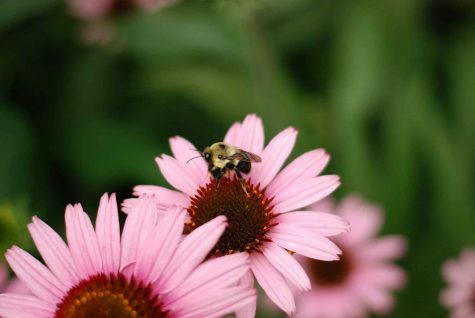 We are proud to share that our urban meadow won the Minnesota Climate Adaptation award! We planted an urban meadow in 2015 with 87 species of annuals, biennials, perennials and a bio-remediation pond. 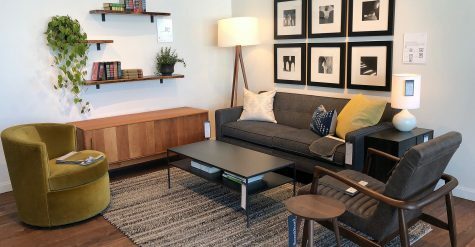 Our Skokie showroom has a new look! 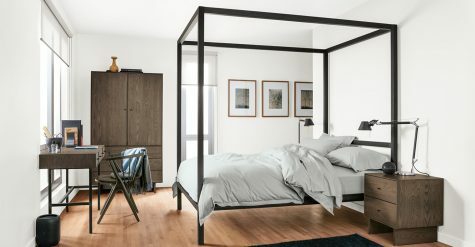 Add drama to your bedroom with a modern canopy bed! We're excited to share Room & Board has been named to Fast Company's list of the World's Most Innovative Companies in Retail for 2019! Style a bookcase like a pro with these step-by-step tips. 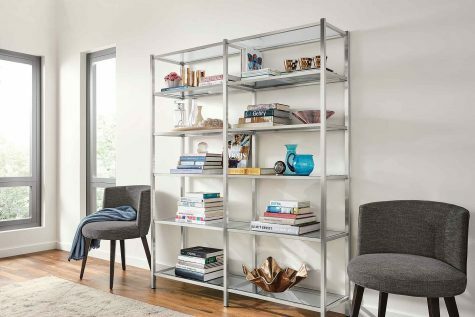 You'll create a bookcase look that's not only Instagrammable, but personal and unique. 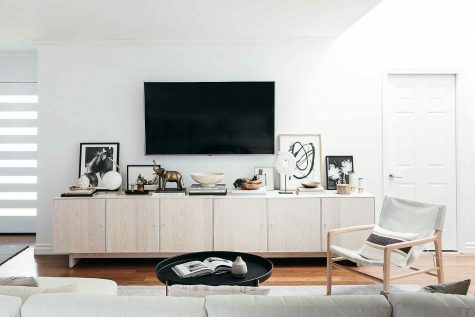 See how Kim Lapides of Eat.Sleep.Wear chose custom storage to turn her 800-square-foot California ranch into a small space dream home. 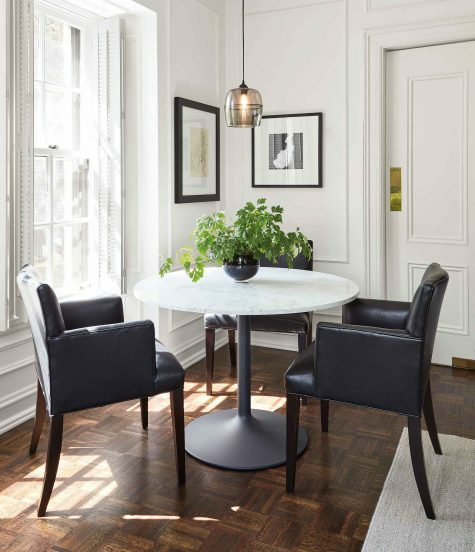 Explore new dining chair designs that will complement any table beautifully! 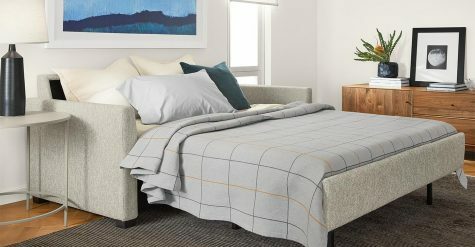 Transform any space into a guest room with a modern sleeper sofa bed! How small is small? 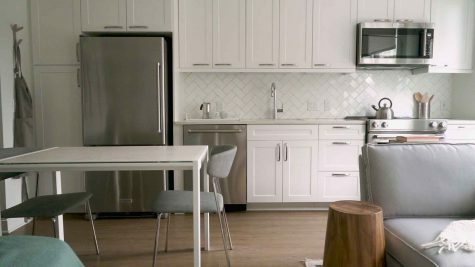 We think this 419-square-foot D.C. studio fits the bill for small space living.